Cristina Alger’s debut novel is to Wall Street and corrupt investments what Robert Daley’s Prince of the City was to corruption inside New York City’s criminal justice system; and it makes just about as powerful a statement about contemporary life in this country. 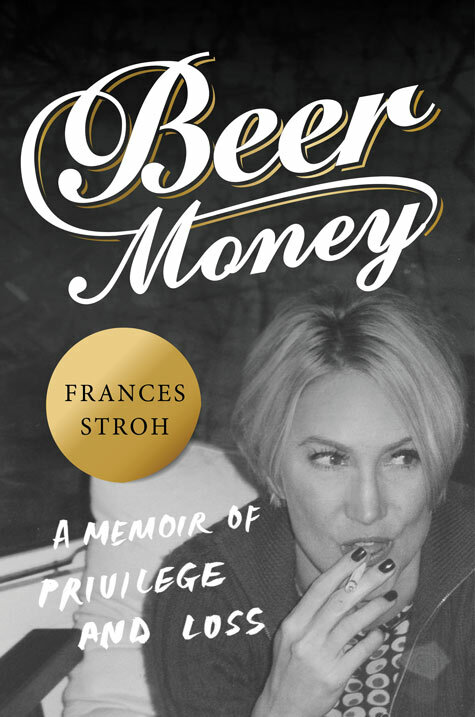 This is a story about New York’s monetary elite (the One Percent) and about Greed with a capital G. It’s a frightening tale about a place in which people equate money with love – in which money is, quite simply, the most important thing in the world. As the novel opens, financier Morty Reis has killed himself. Reis, a figure apparently based on Bernie Madoff, is an outside manager for Delphic, the investment company hedge fund run by the powerful billionaire Carter Darling. (“The Frederick Fund, Delphic’s only single-strategy fund, had 98 percent of its assets invested with Reis Capital Management… Morty was a brilliant investor.”) The problem, as Darling’s son-in-law Paul Ross soon finds out, is that Reis Capital Management was a Ponzi scheme and Delphic’s clients stand to lose billions of dollars. Ross, in need of a job after being pushed out of the Manhattan law firm he worked for, learns this sad truth soon after becoming the head of Delphic’s legal team. He’s barely had a cup of coffee before learning that the SEC is on the phone. The reader knows that Paul Ross, aided by his legally trained spouse Merrill, and an investigative reporter looking into Delphic are going to have to make some hard moral choices before the story comes to its conclusion. The same is true for the near-omnipotent (if flawed) Carter Darling. Alger cleverly ties together two plot lines at the conclusion of this powerful novel in a way that’s not foreseen before the final chapters. Who wins in the end – the white hats or the black hats? You will need to read The Darlings to find out. I’ve now read two accounts of the personal and political life of Mitt Romney – adding up to some 664 pages – and yet I feel like the singer in Randy Travis’s song. No matter how good my intentions are, I’ve not had any luck in finding out exactly who Mitt Romney is, in head or in heart. I’m beginning to wonder if his biographers wind up with the same frustrated feeling. What were his issues? What did he believe? Sure, he was against Kennedy, but what was he for? In other words, who was Mitt Romney? The team of Kranish and Helman, trained reporters for the Boston Globe, covered Romney as Massachusetts governor for four years; therefore, they have some background on the subject. And the 400-plus page account that they’ve fashioned initially seems impressive – with annotations and a fine index – until it dawns on the reader that the subject of the book remains more of a specter than a human being. Specter: something that haunts or perturbs the mind (Merriam-Webster). What Kranish-Helman do well, fanatically well, is provide a “fair and balanced” approach. There’s almost a mathematical precision to their balancing of “good” Mitt versus “bad” Mitt stories. Let them provide a couple of examples in which Romney did admirable work based on his Mormonism, and they’re quickly followed by two stories of when he allegedly acted uncharitably – and perhaps heartlessly – toward two Mormon women facing personal struggles. And when it comes to his work with Bain Capital, the stories of Romney’s “good” venture capitalism are quickly cancelled out by an equal number of tales of his practice of “bad” vulture capitalism. It all seems to verify the accounts that Romney is only the real Romney when he’s practicing his Mormon faith. However, since that’s not something he’s comfortable either talking about or dealing with in public, it means that the person he is – or may be – remains hidden. In reading The Real Romney, an image came to mind of the presidential candidate dressed in a Zorro-style costume – a man who wears a mask that’s never removed, and which never slips or slides for even an inch. 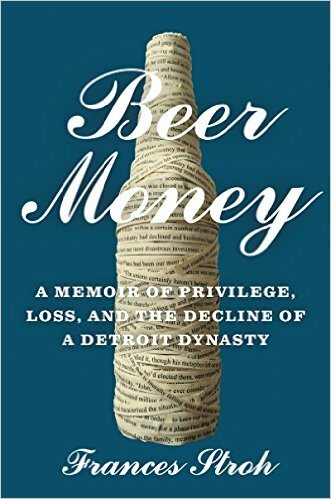 There are entertaining sections of this nonfiction read, most notably those involving Romney’s seemingly foolish run against Ted Kennedy for the U.S. Senate (a race that Romney thought he had a chance of winning until the pre- and post-debate polls came out) and the details of his single term as governor. 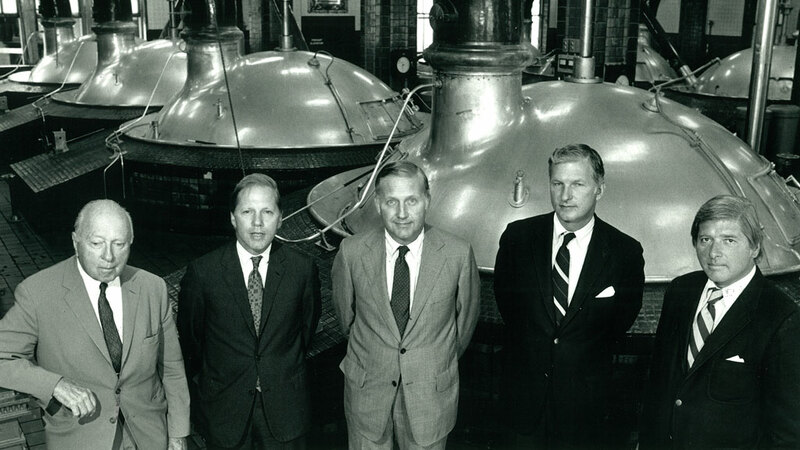 The reporters also do an admirable job of explaining how Mitt’s life is almost a re-run of his father George’s life – both were elected as governor of a state at the age of 55, both were successful businessmen, and both ran for president. In this respect, Mitt Romney sounds a lot like Al Gore, who was raised to accomplish the things that his senator father had not been able to. Yet, it’s never clear in this account if Mitt Romney has the fire in his belly that will make him settle for absolutely nothing less than the presidency. Unless you’re the ultimate political junkie, there’s simply not enough here to justify reading 400 pages to find that the mask, the invisible wall, never comes down. The question simply changes from, “Who was Mitt Romney” (past tense) to “Who is Mitt Romney?” Based on The Real Romney (and on the previously reviewed Mitt Romney: An Inside Look at the Man and His Politics), it remains an unanswered question. The reader knows that Paul Ross, aided by his legally-trained wife Merrill, and an investigative reporter looking into Delphic are going to have to make some hard moral choices before the story comes to an end. The same is true for the near-omnipotent (if flawed) Carter Darling. Alger cleverly ties together two plot lines at the conclusion of this stunning debut novel in a way that’s not foreseen before the final chapters. A review copy was provided by the publisher. 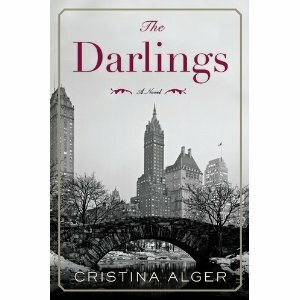 The Darlings will be released on Monday, February 20, 2012. With that near-perfect opening sentence, Tracy Winn delivers a collection of short stories that promises more than they deliver. This is not a bad collection, it’s just that the stories are uneven in tone although they – in theory – are joined by being the tales of a group of individuals who lived in a dying mill town in the Northeastern region of the United States. These are stories about people in different walks of life: rich by inheritance and work versus the poor; old bloods versus immigrant arrivals; foppish people of privilege who live in dated but glorious mansions versus the people who live down in the boondocks in the abandoned mills. What these individuals have in common is that of all the places to live in the world, in this country, they have chosen (or had chosen for them) to live in a place whose time has come and gone. There’s a sense that they are ghosts in the town where one mill operates in the place of the six that once made it a place of prosperity. And even that one remaining mill closes. It is left to the reader to determine the time frame, the date, of each story. Generally the only clue provided by Winn is a mention of the make and model of an automobile (Chevy Bel Air, Chevette, Dodge Aspen). Other than this, there’s a sense of disorientation that occasionally may remind the reader of Audrey Niffenegger’s (Her Fearful Symmetry) prose. The best stories in this group come at the end, as if Winn was beginning to warm up, to find her voice, the closer she came to completing the work. 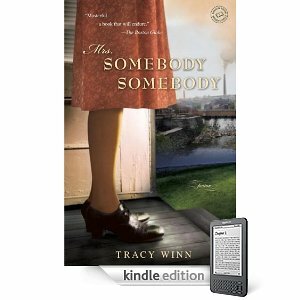 Tracy Winn surely shows her potential here, although the potential is largely unrealized. If you’re currently in the market for a collection of short stories, a preferable choice would be Both Ways is the Only Way I Want It by Maile Meloy (reviewed on this site on June 21, 2010, “Having It All”). But be warned that Meloy does not open her set with a near-perfect first sentence. 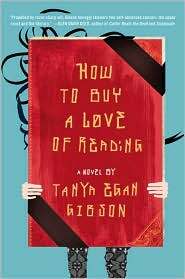 Two highbrow writers and several low brow nouveau riche folks who reside in a community ruled by excess and one-upmanship are skewered with wicked satire in this irresistible debut novel by Tanya Egan Gibson. Rest assured, Ms. Gibson takes the time, and she has the talent, to fully develop her characters. Everyone from the protagonist, Carley Wells, to the object of her affection, Hunter Cay, takes their turn in the spotlight. This is far from the usual ugly duckling or misfit gone berserk story. Rather, the reader is permitted to delve into the complexities of what appears to be a very “simple” girl. Carley is the vulnerable 16-year-old daughter of a brassiere mogul. She does not fit in size-wise or intellectually with her prep school classmates. Moreover, Carly has not encountered a book that she likes. This is problematic as she is expected to earn a passing grade in prep school literature and go on to college. To make matters worse, her harridan of a mother, Gretchen, lacks even a smidgen of empathy or love for anyone but herself. Hunter Cay is a brilliant writer and obscenely beautiful fellow who is one year Carley’s senior. 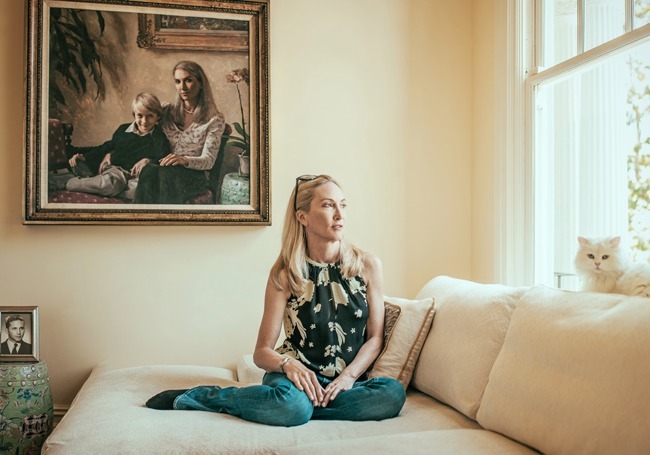 He and Carley formed an unusual friendship when he and his mother became part of the wealthy community following his mother’s divorce from his billionaire father. Carley loves him unconditionally and proves it by her willingness to accept whatever attention and caring he gives her. She dotes on him and is also a first-class enabler of his vices. All of this foolishness aside, there is much more to this book than a satirical plot. The theme explores the idea of growing up into who you need to be to allow yourself to lead a meaningful life. There are casualties along the way – the notion of the value of extreme wealth being one of them. Even with billions, some of the characters are hard pressed to escape their personal fears and demons. By the end of the tale, the reader will have a deeper understanding of human frailties and an expanded sense of compassion. Highly recommended. The trade paper version was recently released.